You’ve seen the video…now here are some more images from the summer Dreamscheme projects at Ada Belfield House and Green Lane Playgroup. Opening of the Playgroup playground by Councillors Alan and Jackie Cox. 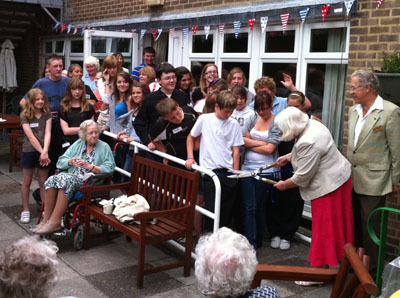 Opening of the garden at Ada Belfield – Councillor Jackie Cox wielding the sheers! Smile please for the press! Hope for Belper’s summer Dreamscheme saw 20 young people help transform a garden at the Ada Belfield old people’s home on Field Lane and bring about much-needed improvements at nearby Green Lane Playgroup. The scheme how now ended for another year, but thankfully Tim Gossling of Derby ChurchNet was there to capture the whole thing on video for us. Here’s how we got on. 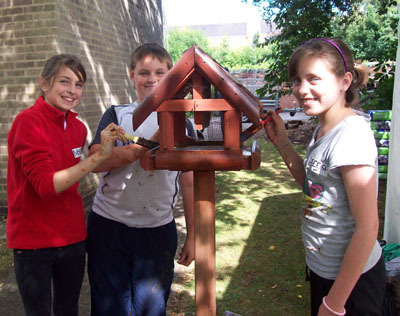 The 2010 Dreamscheme got under way today focusing on Green Lane Playgroup and Ada Belfield House in nearby Field Lane. It’s already been making headlines in the Belper News which carried this article in its most recent edition. Tots and elderly folk will benefit from a summer holiday scheme aimed at helping kids to get involved with their community. 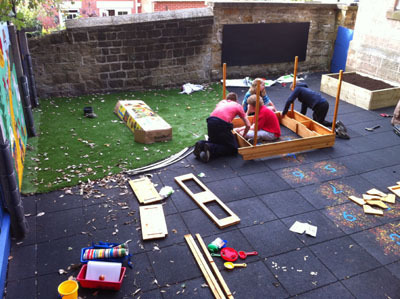 Twenty youngsters aged between 11 and 14 will spend a week working to improve facilities at Green Lane Playgroup and Ada Bellfied House in Belper as part of the Dreamscheme. The initiative, which is being run by Hope for Belper, will also see the young people chatting to elderly people at the Field Lane home to learn about the history of the town. The Dreamscheme is now in its third year. Last year a group of children cleared and redesigned the garden at the Sure Start Children’s Centre, on Alder Road, as part of the project. 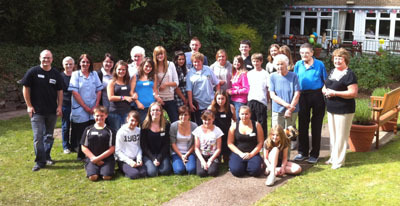 Helen Greenwood, one of the organisers, said: “It’s fantastic working with the young people. Every year they’ve exceeded our expectations. This year the group, which is from the Belper area, will be working on the garden areas at the two venues. They will also hold a tea party for the residents of Ada Bellfield and the families who use the playgroup. 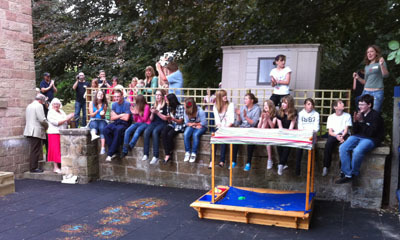 At the end of the week, as a reward for their hard work, the group will go on a trip to a venue of their choosing. They have gone to Alton Towers theme park in Staffordshire for the past two years. But it is not only the reward which the children get out of the week-long exercise, which is running from Monday, August 16 until Friday, August 20. Helen said: “I think they get a lot out of it. This year’s project is unique in its efforts to combine local history with the physical aspects of the week. 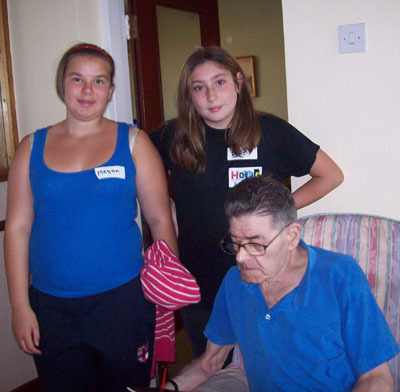 Volunteers from the Strutt’s Mill will be joining the young workers at the beginning of the week to help them talk to the elderly residents of Ada Bellfied House. It is hoped they will produce a booklet or something similar at the end of the week. Hope for Belper is a group which links churches in the area for the benefit of the community. More details can now be unveiled about HopeforBelper’s latest Dreamscheme project for 2010. Most of the project will be based at Green Lane Playgroup. The team is hoping to transform a small dingy yard at the back of the building, and possibly provide a much larger play area for the children who use the facility. As part of the Dreamscheme we are also hoping to work with the residents and staff at Ada Belfield old people’s home on nearby Field Lane. We are hoping that the young people will be able to make some improvements to the outside garden as well as spend time with the residents. If you have thought about volunteering this year please would contact Gareth and Helen Greenwood. A reminder that the dates are Mon Aug 16th – Fri Aug 20th. Time approx 1pm till 7pm. Please pray that God will provide the workers. HopeforBelper will be going into Belper School this month to do three assemblies and to invite students to come on Dreamscheme. God has been clearly leading us through the project this year, we need to continue to bring it to him and ask that he will help us to see it through.